Vegan hazelnut oatmeal cookies, with chocolate chips and coconut sugar. 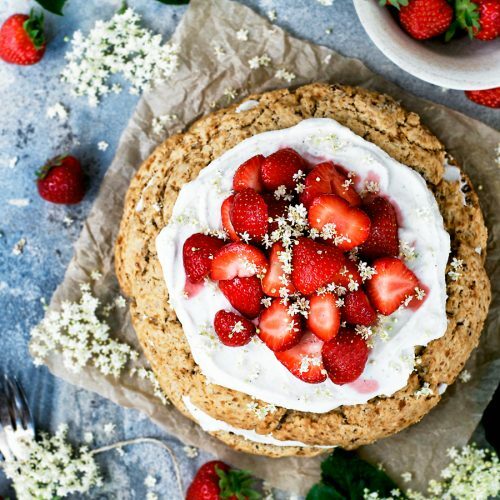 Using hazelnuts as part of the base of these cookies adds richness and a buttery taste without adding any dairy. Big news!!! I got a full time yoga teaching position! It’s at a local gym, I got to plan my own schedule, and I’m teaching a bunch of awesome classes. I’m ridiculously excited. It’s crazy to have been offered such a great opportunity so soon after getting my 200 hour training. If you live in the Brandon area, I’ll be making a page on here in the next little while with my teaching schedule and class descriptions if you’re interested. I’m still reeling that I get to do this – teaching yoga is such a joy, and to be able to do it full time is a gift. I’ll have more time to dedicate to recipes and photography, too, and hope to keep working on this space and some other projects in the coming months. Onto the recipe! I’ve been testing cookies non-stop all week. Graham is thrilled and has been eating about ten a day, no joke. Apparently he ate several cookies a day growing up, because (I’m pretty sure) his gran wanted all of her grandchildren to get diabetes. My omi also brought me two sugar buns for breakfast every morning when I stayed with her for a month when I was twelve. Grandmothers. The other cookie recipe I’ve been working on is a secret, but these are equally awesome. 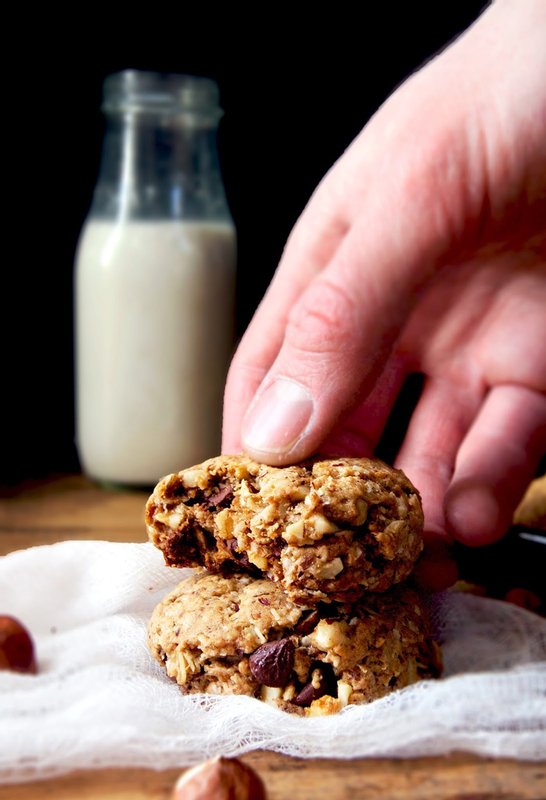 Think classic oatmeal chocolate chip cookies, then add hazelnuts. And make them vegan. And healthy. I’m obsessed, and I’m pretty sure you will be too. 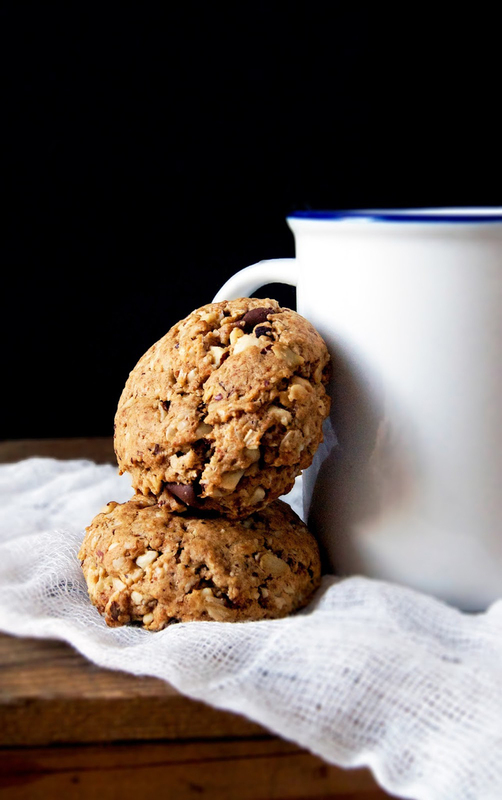 These oatmeal hazelnut cookies are crunchy on the outside, chewy on the inside, and oh-so-flavourful. 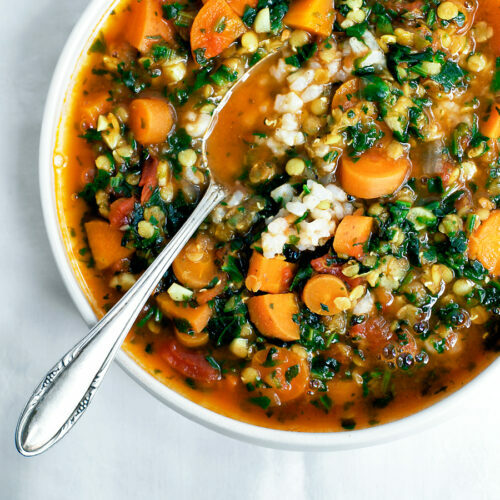 I adapted this recipe from Oh She Glows but reduced the sugar content, as well as replacing cane sugar with coconut, and simplified it. 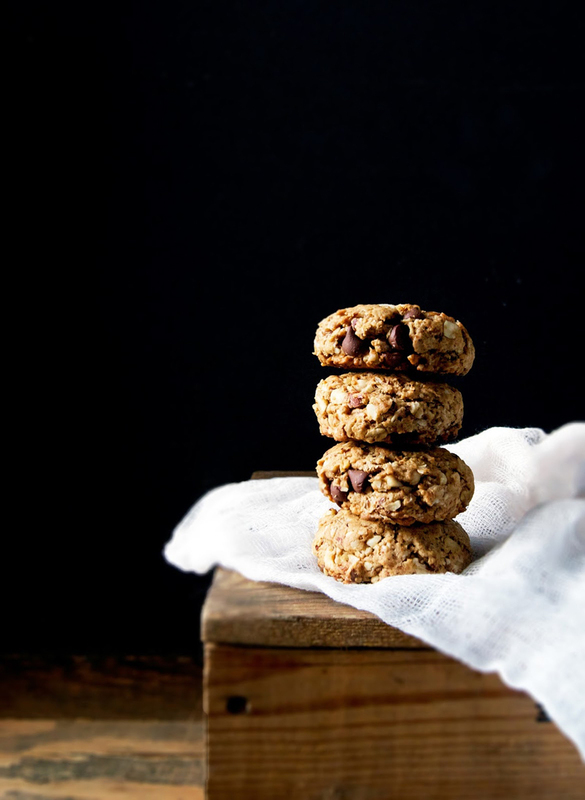 Vegan hazelnut oatmeal cookies, with chocolate chips and coconut sugar. 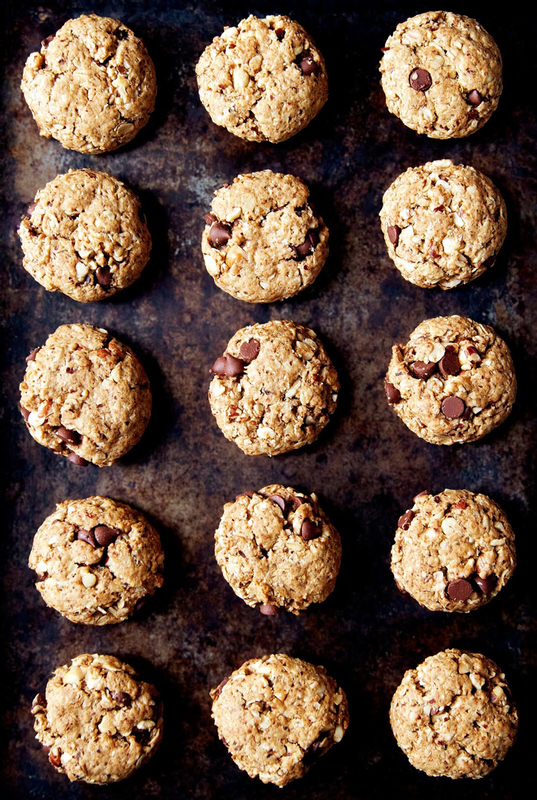 Using hazelnuts in the base of these cookies adds richness and a buttery taste. Place the hazelnuts on the baking sheet and roast for about 8 minutes, or until fragrant. Let them cool slightly before grinding into a coarse meal (see above photo). In a large bowl, combine the ground hazelnuts, oats, flour, coconut sugar, chocolate chips, baking soda, and salt. In a smaller bowl, mix the coconut oil, maple syrup, coconut milk, and vanilla. Whisk it well with a fork until it turns into a lighter, more viscous liquid. This shouldn't take more than half a minute. Add the coconut oil mixture to the dry ingredients and stir until everything is incorporated. I used my hands to make sure it was well mixed. You might have some issues with chocolate chips not wanting to stay in the dough, but just stick them into the cookies once they're on the baking sheet. 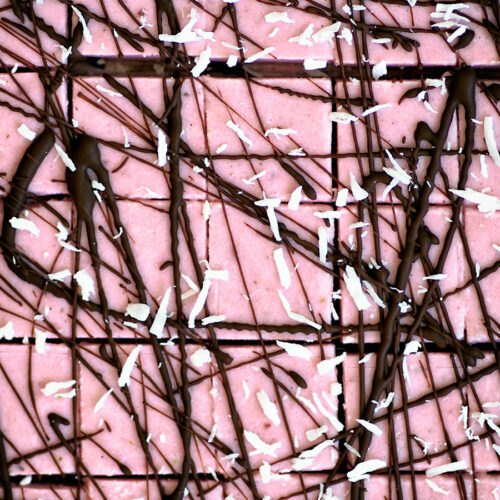 Use a spoon or ice cream scoop (mine was a #3 size) to drop even amounts of cookie dough onto the prepared baking sheet. Flatten them slightly with your hands. Bake in the preheated oven for 8-10 minutes, or until golden in colour. Cool on the sheet for ten minutes before removing and cooling fully on a rack. Store in a sealed container for up to five days, if they last that long. 1. 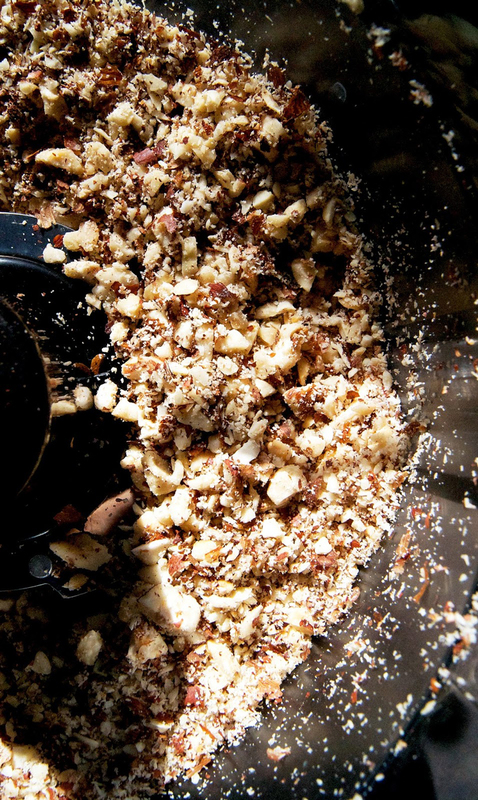 You can substitute 1 cup pre-ground hazelnut meal for the hazelnuts. The flavour won't be as pronounced if you don't roast them beforehand, but they're still good. 2. 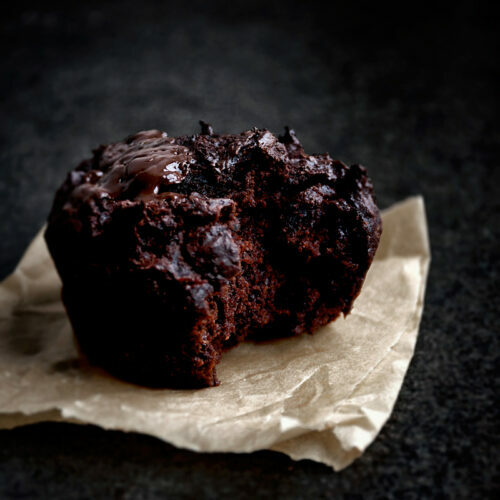 I tried this recipe with both light and sprouted spelt flour, and it turned out well either way. I prefer them with light spelt flour (they're cookies, for crying out loud). 3. Use the full-fat coconut milk from the top of a can if you can. Otherwise, any kind of non-dairy milk will work fine here. Yay, I hope you love them! Thanks Emma! I love your blog, Alexandra! And these cookies look absolutely delicious – in my mind, there's nothing better than hazelnuts + chocolate. Congratulations on your yoga job! These look gorgeous! Fantastic photos! Thank you so much! I hope you like them. Thanks, Julia! Hazelnuts and chocolate are a match made in heaven, aren't they? Thank you 🙂 I'm pretty excited. Congrats on the yoga teaching position! That's really exciting! These look like they'd make a great hearty breakfast-on-the-go cookie (or a "just because I need a cookie with my tea" cookie). Either way, I want to try them. I happen to be allergic to hazelnuts, sadly, so I might try them with almonds or something…. pesky allergies! And I used to love hazelnuts too! Thanks, Janice! That's a great idea to have one for a quick out-the-door breakfast, I hadn't thought of it that way despite eating them for breakfast more than once. I think any kind of nuts would work very well. I always think it's so sad when people are allergic to hazelnuts in particular – they're by far my favourite! Almonds would be great.